Sunseekers are beautifully designed and very European. 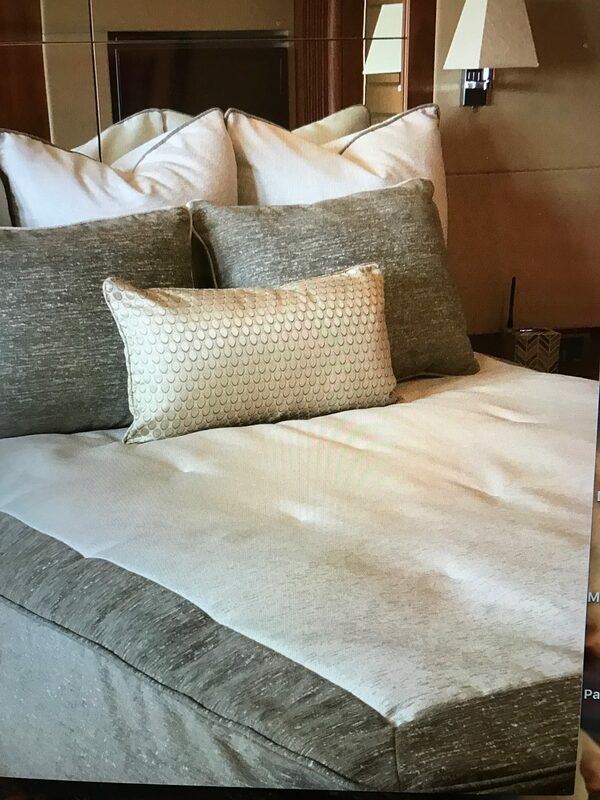 Often times, the beautiful woodwork takes center stage so it is nice to keep the bedding designs in simple colors or neutral palettes. Our wonderful client decided to use a border design rather than brighter colors. Soft hues of beige and ivory look great on this beautiful Sunseeker 70 and add to the beauty of the wood and design. 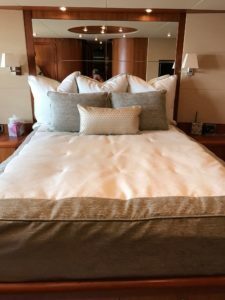 Custom Sunseeker bedding fits beautifully and makes making the bed so much easier. 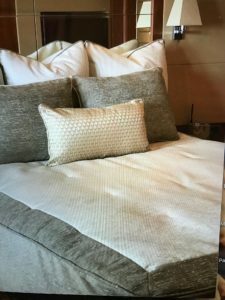 YachtBedding.com has made the process of buying custom boat linens very easy. Let us know the year make and model of your boat and we can help you dream up the perfect stateroom.